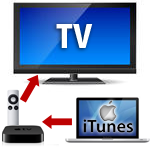 Tips: For TV user, a simple way is to plug your laptop or computer to your TV screen. It cost only a cable and you can watch every movies in HD on your TV Screen with any type of movie format (divx, divx hd, mp4, mp4 hd, mkv, wmv). Note: MP4 and DIVX / AVI. format can be played on XBOX 360 & Play Station as well. Once you have downloaded the movie, burn the movie on a dvd disc and insert it into your Blu-Ray player connected to your TV. 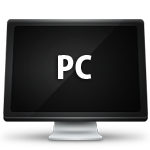 Put the DVD disc into your computer, copy the movie on your desktop computer, burn the movie on a dvd disc and insert it into your Blu-Ray player connected to your TV. We found after many test and research that the Blu-Ray " Samsung " was the best to play the MP4 format. Price started from $69.99 usd. 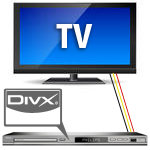 How to play DIVX or AVI format video on tv using a DVD player ? You need a DVD player that accept DIVX. You must see the logo front of your dvd player. Once you have downloaded the movie, burn the movie on a dvd disc and insert it into your DVD player connected to your TV. Put the DVD disc into your dvd player, with your remote, access your menu and select the part that you want to play and press play. 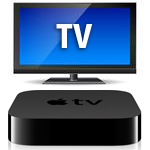 Why we prefer Apple TV or Lacie cinema to play the movie ? Because of the remote control, its very easy and precise when you want to fast forward the movie unlike using a computer. Which format offer the HD Highest ? MP4 have a much higher quality and the delay when you skip scene is much faster than playing a AVI / DIVX. 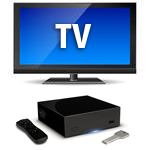 TV users, why upgrading dvd player to bluray player is a good option ? The answer is very simple. 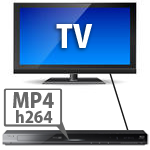 Because generally speaking, a dvd player can play only dvd-r disc at 480p of quality. 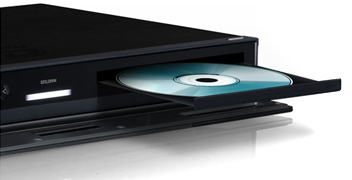 Unlike a Blu-ray player, it can play dvd-r disc and Blu-ray disc at 720p of definition and over. Blu-ray player can play at higher resolution allowing much more medium to be used. And some can even play MP4 format and DIVX format. 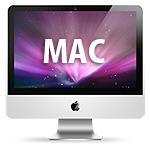 We do not offer devices support but we have posted all possible questions regarding how to play the 2 provided video format. All the movies have been tested on these devices mentioned above.